National Weather Service Flash Flood Warning this area til 9:15 pm EDT. Avoid flood areas. Check local media. Category: Met. Response Type: Avoid. Severity: severe. Urgency: Immediate. Certainty: Likely. 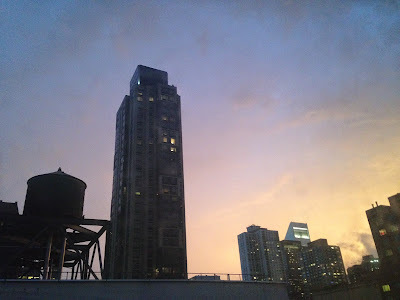 Nothing like Irene or Sandy, but very hot and humid, heavy rain, and lots of thunder and lightning that's lighting up the Manhattan night sky. Let's hope this weather moves out of the area before Friday's holiday.